Holland & Barrett has opened its doors in Haverhill with a grand flourish. 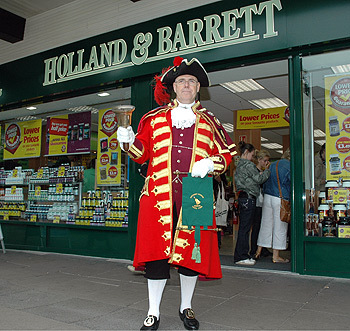 To celebrate the opening of the new store, the company had lined up a town crier, Mr Anthony Church, who made regular announcements in Haverhill Town Centre throughout Wednesday 27th August. Cutting a colourful and dashing figure, the town crier issued information about the new store and a range of special offers for customers to take advantage of on the day. 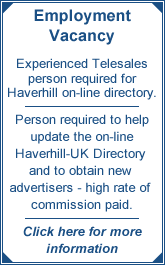 The brand new store will offer access Holland & Barrett's extensive range of vitamins, minerals and supplements as well as specialist nutrition, health foods and meat free options.